It is important to consider generator fuel consumption, especially noting how many hours does a generator run on a gallon of gas. You definitely don’t want to have to refill your generator every two hours. You can determine a generator’s fuel consumption from the product information, for example, Champion Power Equipment 46533 indicate that it can runs for 12 hours on full tank (4 gallons) of gas at 50% load. In other words, 1 gallon of gas can run for 3 hours at 50% load. Remember the keyword here is 50% load, if you use it for higher load, the consumption will be higher and if you use it for lower load, the consumption will be lower. By estimation, at 25% load, 1 gallon of gas can run for 4.5 hours but at 100% load, 1 gallon of gas can last for 1.5 hour. Scroll down to check our recommendation for low consumption generator. It may be important to note that a generator is an efficient backup power system that can supply immediate electricity in the event of power outage and it requires fuel to be able to run and produce energy. Fuel may be in the form of gas, diesel, natural gas or propane, depending on the type of generator. Regardless of the fuel of your backup power system, it makes sense to be aware of your regular generator fuel consumption to be able to make an estimate of how much it is taking out of your budget. 1 What is Fuel Consumption? 2 Why You’ll Need to Know Fuel Consumption? 3 How to Determine a Generator’s Fuel Consumption? Fuel comes in many forms and with its ever rising cost; many people are becoming more aware of their fuel consumption. They make a conscious effort to cut down with their fuel usage to reduce energy cost and perhaps help in the preservation of an eco-friendly environment. So, what is fuel consumption, you ask. It is the amount of fuel used by a particular engine to run as in the case of a vehicle or generator. Generator fuel consumption is the rate at which its engine utilizes its fuel supply. Why You’ll Need to Know Fuel Consumption? Fuel consumption can become a major concern when it starts to take much of your energy cost. The depletion of oil reserves and rising fuel cost may oblige you to monitor and regulate your fuel usage to at least save you a significant amount of money and help conserve the ever depleting fuel resources. Your vehicle or generator fuel consumption can cost you more than what you expect if you don’t keep an eye on your usage. Unwarranted increase in fuel use may sometimes mean faulty engine, hence, regular monitoring of your fuel consumption may be necessary. 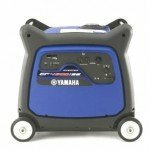 How to Determine a Generator’s Fuel Consumption? Calculating your generator fuel consumption is quite tricky as there are a lot of factors to be considered but there are now fuel consumption calculators available online. If you want an estimate computation, you can just search online for some reliable calculators. You may have to remember that the result is not the accurate representation as fuel usage may increase or decrease depending on the load and other factors. Heavier loads may increase the amount of fuel usage as a generator burns more fuel under such load. When calculating your generator fuel consumption, you have to know your generator size, the amount of load and fuel type. Every type of engine is unique and the manufacturers are the only ones which can provide a pretty accurate generator fuel consumption chart for each of their engines. Designed with a 4,000-watt maximum output and 7.0HO OHV gas engine, this brand/model is a sturdy workhorse when you need something that can deliver with minimal generator fuel consumption. It comes with a 4-gallon fuel tank with an 8-hour running time at 50% load and great for home backup power system, job sites, campsites and RV’s. This generator also features a quiet muffler that lessens engine noise and automatic low-oil shut off for engine protection. 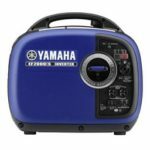 With a 4500-watt maximum output (4000-watt rated output), this Yamaha EF4500iSE generator model is designed as fuel efficient to save on your generator fuel consumption and with minimum noise level. It can be operated using a wireless remote control and touted as having an extremely powerful engine (in its category) which is capable of running this inverter generator at particularly minimum speed of 2600-1000rpm reducing generator fuel consumption, engine damage and vibration. This is suitable for various electronic devices and appliances like computers, microwave oven, satellite TV systems, air conditioner, etc. This easy-to-carry inverter generator has a 2000-watt maximum output (1600-watt rated output) and 79cc OHV engine which is effective in minimizing generator fuel consumption. It features an ultra-quiet muffler, spark arrestor at 51.5dBA (1/4 load) and Smart Throttle that adjusts engine speed depending on the load encouraging reduced fuel usage. This gas-powered generator is portable but powerful which operates continuously for 10.5 hours without the need for refueling. These are some of the pros and cons of a fuel efficient generator. Fuel usage is something that generator owners have to take into consideration and by measuring your average generator fuel consumption; you may be able to design a plan on how to reduce your usage and trim down your energy expenses.